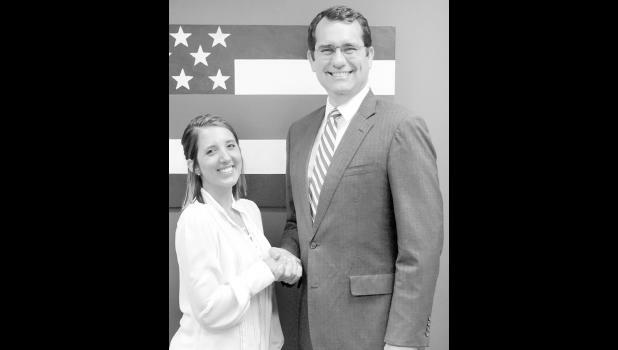 Whiting native Kasie VanDonge is completing a summer law clerkship for the office of Kansas Attorney General Derek Schmidt. VanDonge, a 2012 graduate of Jackson Heights High School, is assisting Schmidt’s office in the Medicaid Fraud and Abuse Division. VanDonge is currently attending Washburn University School of Law. She graduated from Highland Community College in 2014 with a degree in arts and from Fort Hays State University in 2017 with a degree in political science.